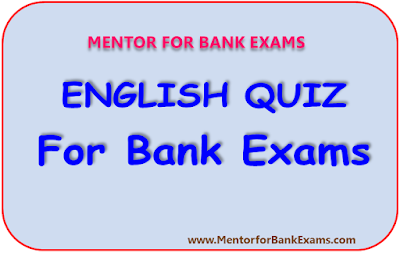 Directions (1 – 5): Read each part of the sentence to find out if there is any error in it. The error, if any, will be in one part of the sentence. The number of that part is the answer. If there is no error, mark your answer as (E). Directions (6 – 10): Which of the sentences (A), (B). (C) and (D) given below each sentence should replace to make it grammatically correct. 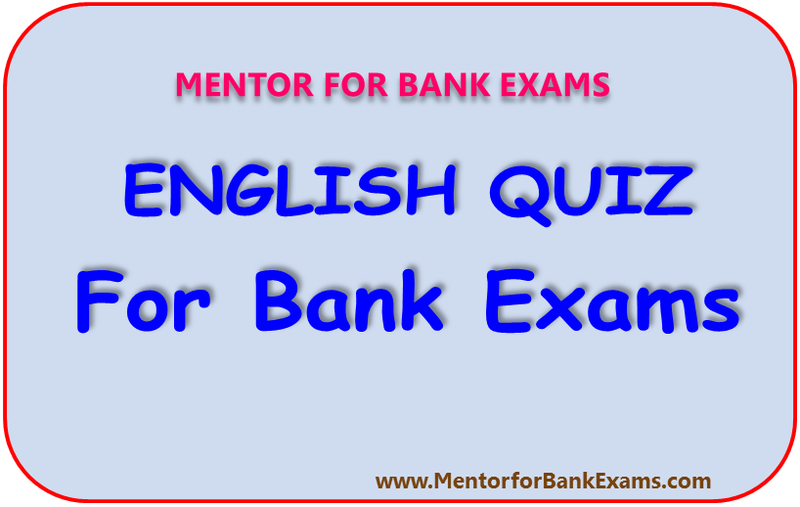 If the sentence is correct as it is given and no correction is required, mark (E) as the answer. 6. The benchmark BSE Sensex extended gains for the third straight day by surging about 125 points, and the NSE Nifty again reclaimed the 8,800-level in early trade despite disappointing macroeconomic data. a) The benchmark BSE Sensex extended gains for the third straight day by surging about 125 points, and the NSE Nifty again reclaimed the 8,800-level in early trade despite of disappointing macroeconomic data. b) The benchmark BSE Sensex extended gains for the third straight day by surging about 125 points, and the NSE Nifty again reclaimed the 8,800-level in early trade in despite disappointing macroeconomic data. c) The benchmark BSE Sensex extended gains for the third straight day by surging about 125 points, and the NSE Nifty again reclaim the 8,800-level in early trade despite disappointing macroeconomic data. d) The benchmark BSE Sensex extended gains for the third straight day by surging about 125 points, and the NSE Nifty again reclaimed the 8,800-level in early trade despite disappoints macroeconomic data. 7. A website to enroll for unemployment allowance cards in poll-bound Uttarakhand has been shut down on the orders of the Election Commission. a) A website to enroll for unemployment allowance cards in poll-bound Uttarakhand have been shut down on the orders of the Election Commission. b) A website to enroll for unemployed allowance cards in poll-bound Uttarakhand has been shut down on the orders of the Election Commission. c) A website to enrolling for unemployment allowance cards in poll-bound Uttarakhand has been shut down on the orders of the Election Commission. d) A website to enroll for unemployment allowance cards in poll-bound Uttarakhand has shut down on the orders of the Election Commission. 8. The Prime Minister has asked his ministers colleagues to give details of tours, if any, undertaken by them during the last three months, an exercise aimed at ascertaining whether they promoted demonetisation and other initiatives. a) The Prime Minister has asked his ministers’ colleagues to give details of tours, if any, undertaken by them during the last three months, an exercise aimed at ascertained whether they promoted demonetisation and other initiatives. b) The Prime Minister has asked his ministerial colleagues to give details of tours, if any, undertaken by him during the last three months, an exercise aimed at ascertaining whether they promoted demonetisation and other initiatives. c) The Prime Minister has asked his ministerial colleagues to give details of tours, if any, undertaken by them during the last three months, an exercise aimed at ascertaining whether they promoted demonetisation and other initiatives. d) The Prime Minister has asked his ministerial colleagues to give details of tours, if any, undertook by them during the last three months, an exercise aimed at ascertaining whether they promoted demonetisation and other initiatives. 9. The Election Commission wants students to learn from the secondary school level to become responsible voters. a) The Election Commission wants to students to learn from the secondary school level how to become responsible voters. b) The Election Commission wants students to learning about the secondary school level how to become responsible voter. c) The Election Commission wants to students to learn from the secondary school level to become responsible voters. d) The Election Commission wants students to learn from the secondary school level how to become responsible voters. 10. Commerce Ministry is planning merger of the commodity boards and set up an umbrella organisation in order to improve production and exports of plantation crops like tea, coffee and spices. a) Commerce Ministry is planning merger of the commodity boards and set up umbrella organisation in order to improve production and exports of plantation crops like tea, coffee and spices. b) The Commerce Ministry is planning merger of the commodity boards and set up an umbrella organisation in order to improve production and exports of plantation crops like tea, coffee and spices. c) The Commerce Ministry is planning merger of the commodity boards and set up umbrella organisation in order to improve production and exports of plantation crops like tea, coffee and spices. d) Commerce Ministry is planning merger of the commodity boards and set up an umbrella organisation due to improve production and exports of plantation crops like tea, coffee and spices.